Garden lilies – Lily Company BV. Lily Company BV is thé specialist in breeding, developing, cultivating and exporting garden lilies since almost fifty years. The company was founded by Piet Groot and taken over by Jan Willem Metzelaar, Paul van Egdom and the cousins Edward and Evert Bot in 2009. The executive managers are Jan Willem Metzelaar (breeding, cultivation and logistics) and Paul van Egdom (purchase and sale). 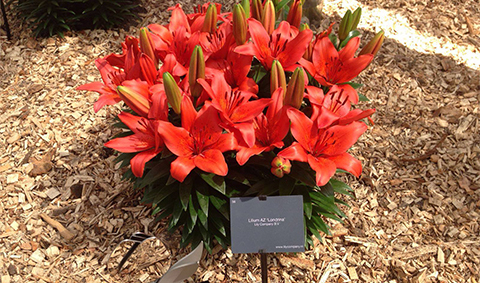 Lily Company BV has, with more than 150 varieties, a very wide range of garden lilies. The assortment ranges from old strong primal species that originate from Asia and North America, such as Lilium Regale, to the latest F1, F2 and F3 hybrids in the most special colours and shapes such as the rose-shaped apricot-colored Apricot Fudge, the double Oriental lilies of the “Lotus” series, pollenfree lilies, orchid-shaped martagon lilies with small, hanging flowers etc. We grow our lilies in the Netherlands in the most sustainable way possible. After processing they are exported all over the world for use in gardens and parks of private individuals as well as companies. Lily Company B.V. specializes in the following lilies: Trumpet Lilies; O.T. Lilies; Turban Lilies; Pearl Lilies; Tiger Lilies; Electric Collection; Pollen-free / Double-nose; Asians; Bi-color Lilies; Asians Pot; Orientals; Pot Orientals; Species; Martagon. Our catalogue. 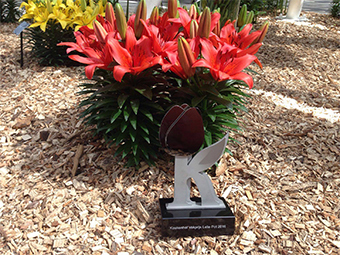 So, welcome to Garden lilies – Lily Company BV.